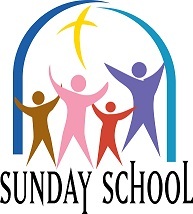 The Sunday School meets weekly concurrent with the traditional worship service. It is open to all youth who are not yet confirmed and meets in the hall complexes on the church property. On the last Sunday of each month the Sundays School spend the first fifteen minutes particiapting in the traditional church service.